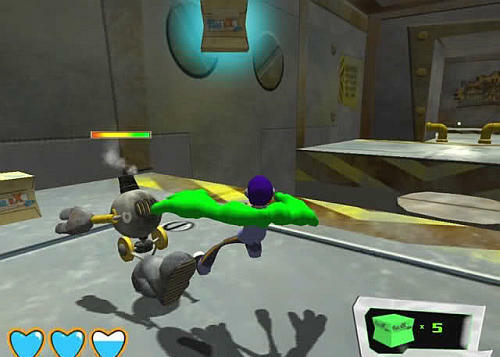 Gal-Ex is a small action-platformer from 2006. Jake and Goup are galactic parcel service delivery boys who do it eagerly. Goup has the ability to transform into specific shapes and forms. Now Jake has crashed our spaceship into a robot factory, and so you have to use your abilities and your common skills to solve puzzles to get through.